Center Parcs will only sell you a three day stay in one of their lodges but those in the know use us for a night for a fantastic nights sleep and then book the only thing you can go to centerparcs for just one day for!? That is of course the wonderful Aqua Sana Spa. Book separately of course but make sure you dates with us are safe before you do! High Lodge is the Forestry Commissions activity centre just a couple of miles from the hotel. A terrific day out for families or couples with lots to see and do and a good cafe to cater for your needs or why not take your own picnic? Matt Arnold your host is always happy to encourage runners or cyclists of any level to use the Forest he uses daily to get out and enjoy a run or cycle in some beautiful scenery on a nice mix of trails and country lanes. 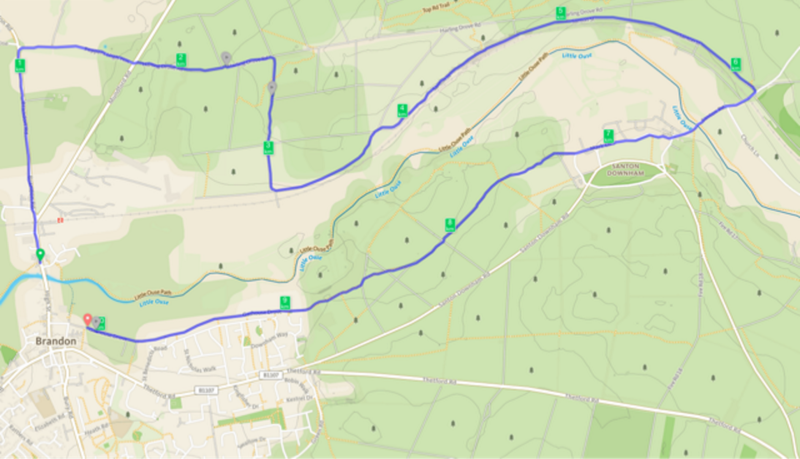 Ive put a favourite 10KM loop I use all the time on here but you can do much more just get in touch if you need any help?